Instead of offering cheap tasting set menus like many wedding catering companies in Dallas, A La Carte Catering & Cakes believes in choice. With limitless ways to reorganize their dishes to tailor the perfect match for your wedding, you will be able to have the best of everything and all of your favorites. Not only can they cater your actual wedding day but they also provide: engagement party food, bridal shower catering, bridal teas and cover your rehearsal dinner. This means you can have delicious food throughout your wedding planning process and the big day. Pappas Catering takes a huge amount of pride in the whole range of their cuisine. 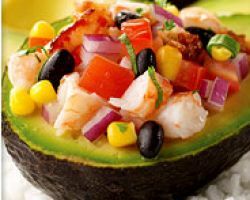 Their lobster, crawfish and seafood selections are famous throughout the state and so is their delicious Tex-Mex traditional cooking. No event is too big or too small. They are willing to create platters for a party, full sit-down dinners and everything in between. Amongst local caterers, they stand out as one of the most flexible and dedicated to finding that perfect recipe that flawlessly suits your wedding, event or celebration. As one of the few companies offering catering in Dallas, TX that has separated their wedding and corporate branches, you can be sure that Preston Hollow Catering provides the most dedicated service. 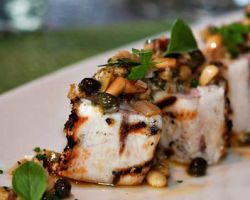 Their menus have a great range of variety and cover the classics that everyone knows and loves. 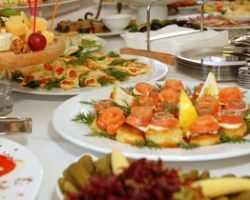 From seafood and bbq to Italian catering and Mexican food, you will find a menu that suits your event and your tastes. No matter what you decide, each dish will be lovingly prepared and be mouthwatering. 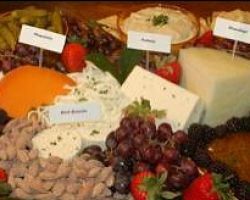 Searching for a catering service in Texas can become frustrating to find many amateurs set up as wedding caterers. For the most important day of your life you really deserve the top company offering the most professional service. This is precisely what you get with Food Glorious Food. 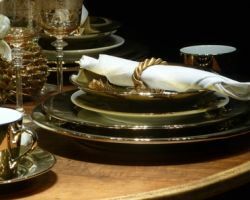 With beautiful displays, buffet options or a full-seated dinner service, this company knows how to present food in a luxurious and breath-taking way. A wedding day needs to have Food Glorious Food’s level of service and quality. What more could you ask for than a Dallas catering service which has been voted as having the best personal touch and is one of the most affordable in the city? Whether you need a specialized wedding lunch, full service catering or even bartending then My House Catering has the service for you. They have catered for the Dallas Cowboys for over 8 years. This is for a good reason, their cuisine is delicious and their catering staff is well trained in customer service so you will be dining like royalty.